Our Schedule Timing & Emergency Service FAQ Credit Card Payments? I have had a bit of a setback, where I tweeked my left knee while traversing a ridge on a steep roof I was strattling while replacing a vented ridge cap on 9/14/18. I continued to work that day to seal up the roof, going up an dow the ladder a dozen more times, but really felt it later that night. I have been wearing a knee brace since then, but it is still rather sensitive, so I have been doing more work in the shop than normal. Which has gotten me behind on gutter work projects. Along with bad weather and shorter daylight hours, so I thank you for your understanding, trust, and patience with me. I promise it will be well worth the wait. I can usually get to on-site bids within a day or two, but DMR is currently booked out with gutter work over a year or so. To be more specific more like 12 to 14 months, as listed below. 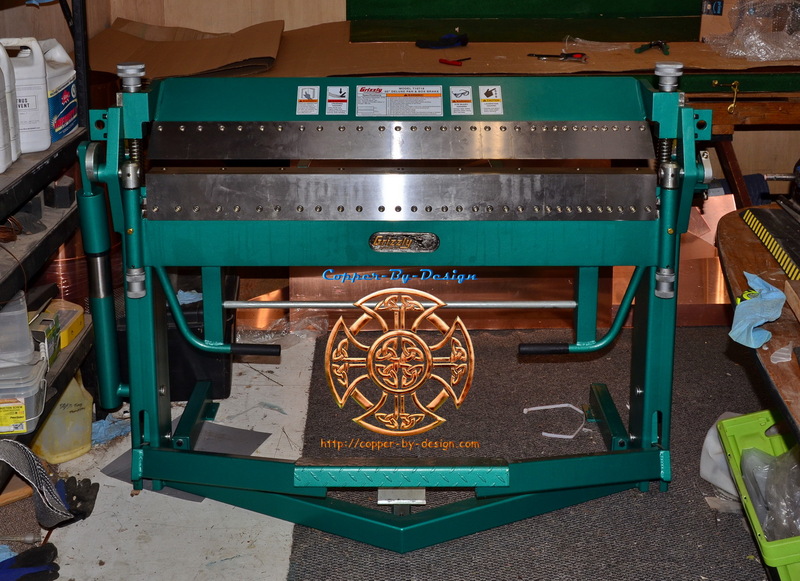 I am also very busy with in-shop custom copper projects to work on in bad weather for Clients all across the Country. I am only able to take on a dozen or so gutter jobs a year, since I do this work personally, and do not have teams of underlings to slap out shoddy work like most other larger Gutter Contractors may have. Are you willing to wait a bit to be one of my Select Clientel? Our Client lists below shows all the project within my current queue; who have paid at least 1/3 deposit to be firmly scheduled in. This should be the outset time-frame, but it is hard to say for sure when there could be unforeseen complications arise. This list is far more information to track my progress than you would get from any other Contractor, so I hope you appreciate this fact. I appreciate your concern about getting it taken care of quickly, but the wait will be well worth it to have this done the right way, as well as using far better materials than you could get from any other Gutter Contractor in the Pacific Northwest at any price. I do many things they won't without even being asked. Because of this long lead time with the sale of a full gutter replacement with our No-clog options DMR offers a courtesy gutter cleaning to help tide you over, so keep that in mind when we sign a contract and think of what would be the best timing for that. I would love nothing more than to get projects done and out of the way quickly, but I resist temptation to rush project at the expense of quality, which I trust you will appreciate as my best advantage when I get to your project. 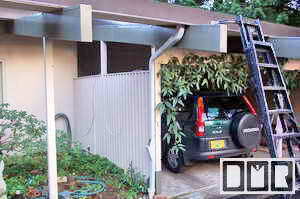 DMR does not just slap out gutter replacements in a day or 2 like most Gutter Contractors. 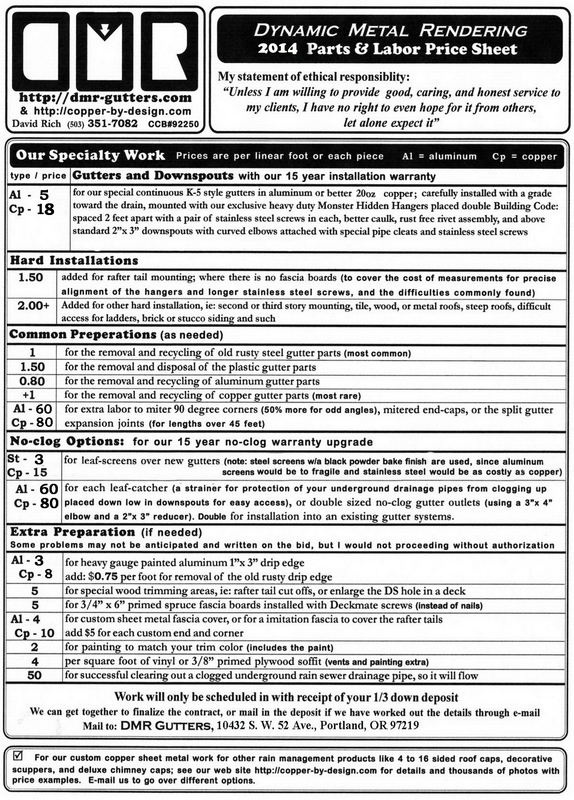 I tend to take 4X longer per man-hour to complete a project with all of my more comprehensive work I do on each job, as listed on my unequaled Quality Standards web page. I do work outside year round, but I am also busy with dealing with clients across the Nation for my custom copper fabrication I design and build under the dba of Copper-By-Design, so I am often not able to get out of the office until Noon many days. I am still highly involved physically in on-site gutter replacement. Fall has always been the busiest season each year for gutter work sales: when the rains arrive and the leaves descend. Although, between X-Mas to Tax-day I tend to sell less and get a chance to catch up a bit before the Spring rush. My schedule may change quickly, so feel free to contact me about my lead-time if I had not updated this page recently. 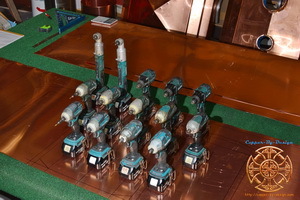 For small projects like a flashing kit or a simple roof cap orders, which only take a few hours to process I can usually squeeze them in between major projects within a week or so, plus freight time if you are not local to the Portland, Oregon area. Most of my custom copper work are for clients back East. 12-W off and on-going project for Mughal (past chimney caps Client) in NW PDX - copper gutters and much more. (in progress over the las couple years) See our DMR facebook photo album for details of 3 piece chimney caps work I did for them. 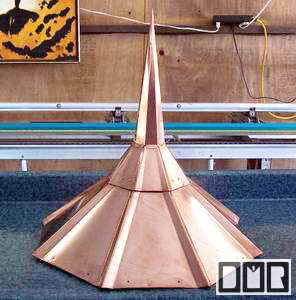 See our CBD facebook photo album to see the custom copper chimney cap we made. Sorry for the long wait, but I cannot just slam out several gutter jobs a day like other large Gutter Contractors with teams of work crews. With all we put into each gutter project it normally takes us a week or two to do what they slap out each day. Some see this as a deterrent, but I'd like to believe you'll see this sort of personal attention with my 30+ advantages I implement as a priceless advantage, which makes DMR Gutters well worth the wait and by far the better value. I mean; what's the point of getting the same junk you're paying to be replace? Or worse? In this modern world of fast Amazon deliveries this one detail will detour a large number of potential Clients who did not plan ahead. Then I often get called in to redo that sloppy workmanship later on. I rather like having our Clients who are willing wait a little for better than standard service. Those whom will appreciate the extra effort we put into each project done at a more reasonable cost, since I have less overhead than most Contractors keeping it small and personal. As well as the more creative side to my work; to brainstorm and solve unusual situations you may have, which can make the difference you're in need of. My detail oriented and elaborate web site is an example of the detail I apply to my craft as well, and has gotten me a lot of attention through search engine placement with Homeowners across the Nation. I could be driving around doing bids all day and not getting any work done if I responded to each inquiry that would comes in, so I've had to changed the way I do bids to help pre-qualify my deserving Clients. Are you that special person? If you want that kind of special care brought to your gutter replacement I am your guy, but first I would like a little effort from you as well. It should only take about 15 minutes for you to get rough measurements of your house. Just from down on the ground. You should not need to get up on a ladder for this. 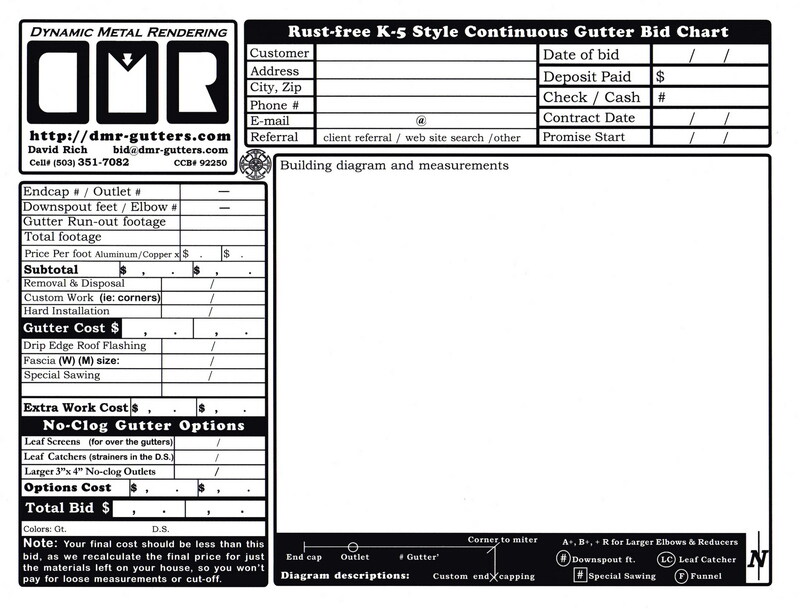 List those measurements on the gutter chart I have provided here below. This is not a requirement. If you feel you have a complex project or this is beyond your ability feel free to request I come to your home to write up a formal bid w/o having gone through this effort. Please read the 'Estimates' section below that will walk you through this fairly simple process. I've done my 'homework' here to make this as painless as possible, which should not take more than an hour in all. More importantly this process will also help make you a much more informed Homeowner. Less likely to get ripped off by less scrupulous Gutter Contractors by knowing your true numbers. I've heard from many Clients how these other Gutter Contactors claim to charge less per foot, yet had presented a bid that was hundreds more than mine. 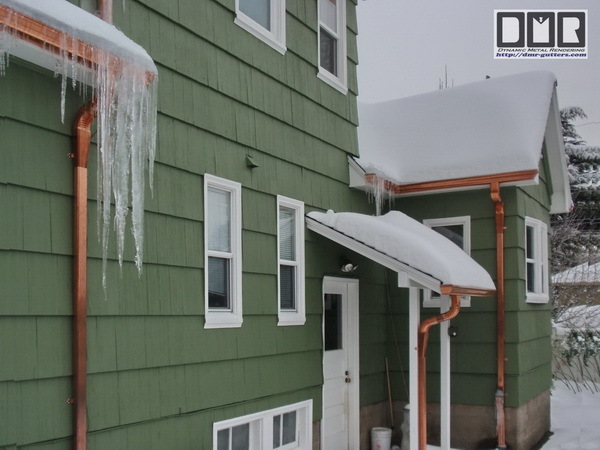 Even as much as $14,000 more for copper gutters than my bid, so it pays to be a well informed consumer and know for yourself what your true measurements are, since grossly over estimating your measurements seems to be the most common scam used. Crappy parts that won't last is standard with most any of these other Gutter Contractors. 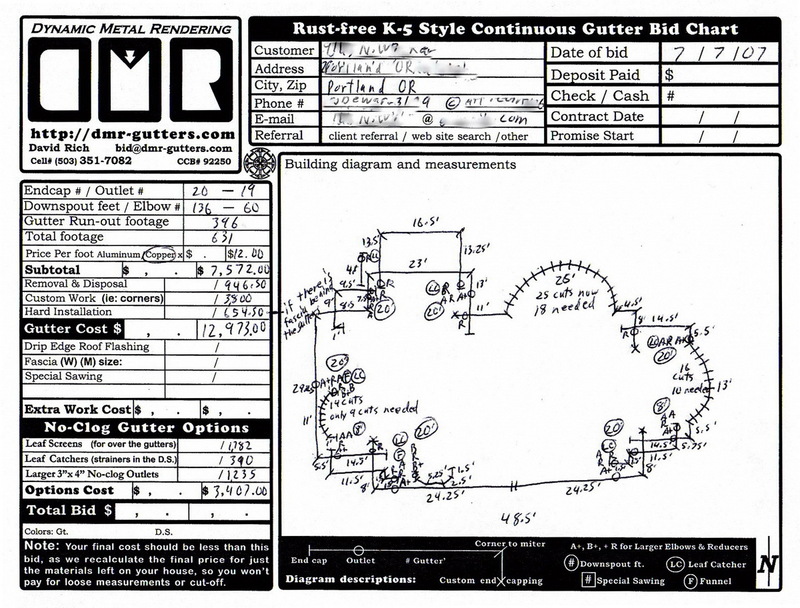 According to my suppliers I am the only Gutter Contractor in this area who consistently buys the better parts, so they will not stock many of the special parts I insist on using, so I've had to order them directly through the manufactures in 5 different States. Feel free to contact my primary parts supplier: ABC Supply to verify this fact, Ph# (503) 605-0522. There is a list of my other suppliers on my Site Map page. Be Forewarned: If you ask me to fit your project in ahead of those I had already contracted with, that would be asking me to commit fraud. You would only convince me that I cannot do business with you at all, so that would back-fire on you. If time is of the essence; where you simply can not wait we offer one of the only professional Parts Delivery Service, w/installation instructions, recommended list of tools, and prices. . This means you will need to do the installation, or have someone else who can in order to use these better parts than you could get from any hardware store or professional Gutter Contractor in this area. I can usually make a delivery of the same parts I use within a week or so of getting all the details worked out and receiving your payment. I can also fit in some simple sheet metal fabrications, like rust-free roof flashing kits. Keep in mind how for a parts service I would not be coming out to your place to get all the exact measurements for you and make up the list of parts needed w/o charge, any more than Home Depot would make up a list of lumber you would need to build a project at any price. I can do this, but it would run you an extra $100 an hour, but you may feel it is well worth it to have me personally evaluate your project and offer advice you may not have considered. I would like to believe I am not guilty of any high pressure sales tactics, but I do understand how you may like to avoid this if possible, so I have provided this sample copy of my Bid Sheets that I personally designed and refined. 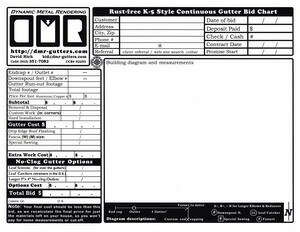 You can just print out this chart to use for estimating your gutter needs to get an idea of what it would run; referring to my Price Page, or simply print our Price Sheet shown below the gutter chart. Even if you are not local, you should use this to compare bids you get to see if they are honest with you as to the actual measurements of your house, which tends to be the most common scam. I have made it quite simple here to draft it all out. You won't need exact measurements. It should take you only 15 minutes to get rough measurements from just down on the ground with a common tape measure and eye-balling the straight edges of your roofline. As it states in the bottom left corner of the chart, you would only be charged for what materials stay on your house, so no one is cheated either way. Click on the images here to get a better look. There is also an example of an actual bid on the right to see how to fill it in. (1) Rough measure of your horizontal roof lines that requires gutters and downspouts. No need for exact measurements, but it is best to make sure they are as much or more, so there are no added cost to worry about. Taking measurements from the ground with a measure wheel is all I do when writing up an on-site quote. I list downspout lengths rounding it off to the nearest even foot; like 8, 10, 12, 14. 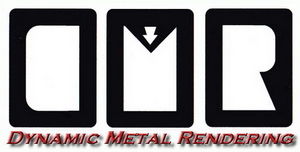 (2) What type of metal you want me to use: aluminum or copper? (3) If you just have rafter tails, or if you have fascia boards across the rafter tails for the gutter attachment? (4) The type of roofing you have and the pitch of your roof? (5) Which gutters are more than one story high? (6) Be sure to add a few digital pictures of your house, so I can see if there are any issues you may have missed or options to improve your gutter system I can recommend. I have broadband, so file size is not an issue for me, but you may need to break it up into several e-mails to get it to go through. The more info you send, the more chance that I can give you an accurate ceiling cost for your project, but if we are a bit off, that's OK, since I always re-price the final cost to reflect only the material actually installed on your house. This way no one looses. Our shop address will be listed in our reply e-mail. I'm still happy to write up a free estimate for you, as long as you're OK with my time-line, as listed in the Lead-time section above, and your house is within the Portland Oregon Metro area. I am surprised to hear when Homeowners did not know how it is a requirement of all licensed Construction Contractors by the CCB to provide free bids within a reasonable area local to their base of opperation, so don't be shy to ask me for an on-site bid. What if I live outside the Portland Metro area? To date Canton, Ohio is the farthest I have gone for gutter work, but I am only licensed to work within Oregon. Of course I would need to charge for the extra mileage for bids and work outside my local area within a 20 mile radius of SW Portland. I am not licensed to work outside Oregon, so I do not do any on-site quotes for out of State residence. When I do an on-site quote I will take loose measurements and usually write up a bid for your consideration there on the spot. There is usually a pleasant surprise at the end of each job, since I only charge for what material lengths remain on your house. Please e-mail me with house photos, address, contact info, and any other details you think is relevant to your needs, so I can service you with a bid and show you relevant samples. If you feel you need to talk to me about your special needs you can always call my cell phone and speak with me personally at 503 351-7082, Although, I may be up on a ladder or driving, so I may not be able to talk for long or take notes. When we've agreed on the terms of the contract I'll just need your 1/3 reservation fee to secure your spot in my schedule. Before I have begun to acquire parts for your house if for any reason you want to pull out all but a 10% reservation fee is refundable without question. I'm way to busy to bother holding clients to a contract they don't want. You will know when I am getting close to getting parts, as I'll reconnect with you to make sure there are no other changes to consider. I had required 1/2 down to schedule in new work for over a decade prior to 2006, but after becoming regularly booked out this far I realized that was not a reasonable amount, so I dropped it to just 1/3 down. Then the next 1/3 is due at the time I show up to remove the gutters and get the exact measurements. That means I'm on your job until it's done at that point. Then the last *adjusted payment is due once the project is finished and you're satisfied with the results. I've only had a few clients have issue with this policy, so I see no reason to change. Your first 1/3 payment is buying that slot in my schedule of 1 to 4 weeks of my time, which pushes out the next clients after you. This way I know my clients are serious about having me work on their home. If I did not collect this reservation deposit; clients may forget we had a contract and wind up having the work done by some other Contractor who could get to it sooner. * After I've finished I'll then have the final measurements of all the parts that remained on your house. I'll adjust the cost down accordingly. It will not be more than the bid I provided you, even if the measurements exceed the amount on that bid unless the contract was changed or other work was added to complete your project; with your authorization of course. Full payment is required on these sort of projects before I will begin collecting parts and fabrication. If you do not trust me, you should not do business with me at all. Simple as that. I've been licensed, insured, and bonded for sheet metal work in the State of Oregon under CCB #92250 since 1993 without a single dispute filed with the CCB. 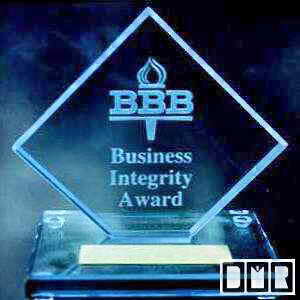 I would like to believe my reviews and my Business Integrity Award from the Better Business Bureau should give you plenty of confidence in my ethics and responsibility to my clients. I have had less than 5% of my potential clients express discomfort with my deposit policy. Largely since much of my work is from referrals, so they already know I can be trusted. As I listed above; yes. A refund has only been an issue in a couple cases in the last 2,300+ gutter jobs over the last 18 years, but I am far to busy to try and hold you to a contract you do not want. If for any reason you want or need to cancel the work contracted, before I have picked up the parts for your house, I will refund all but a 10% reservation fee without question. I normally do not pick up those parts more than a week in advance of beginning a project, and I most always contact the Homeowners before that to make sure we are still on the same page, so this will not be a surprise. If I had already acquired those parts; only half the deposit is refundable, but I'll still honor your request before we've begun installation. It would be best to make sure we have arrange a cancelation before we've begun to remove your old gutters of course. Even if you are not local to the Portland, Oregon Metro area I have helped clients with acquiring all the professional continuous gutter parts w/all the rust-free fasteners needed to install like I do. Even better parts than any other Professional Gutter Contractor in this area. I guarantee. I use 9 different suppliers in 5 states to get the better quality parts I insist on. It is really not all that hard, or requires expensive tools to do the installation yourself. 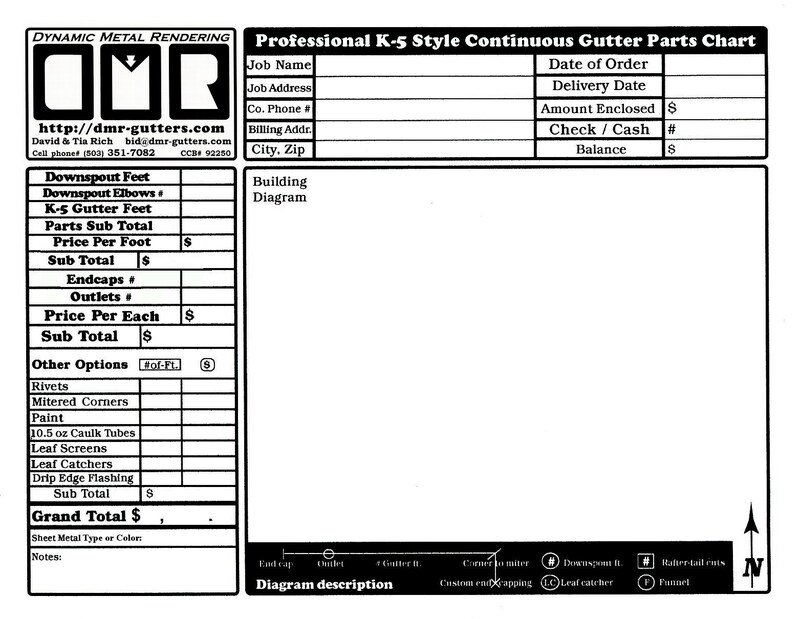 I have generously provided all the instructions and recommended tools list on my Gutter Parts Delivery web page where you will find all the details and pricing. Will you measure our house for us? Just like with any lumber yard delivery this parts delivery service I offer does not include a free evaluation of how many parts you'll need. Think of it as a qualifier. If you are not able to figure this out for yourself, maybe you have no business attempting to install your own gutters. For a fee I will offer my service to get exact measurements for you and evaluate your needs, as well as providing my advice for improvements to your gutter system for better function and longevity that you may not have considered. That fee would be $100 an hour plus a $50 an hour transportation fee for over 15 miles distance from our place in SW Portland. 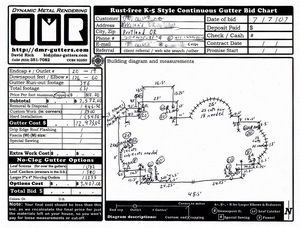 This chart above will help you be able to chart your house for gutters and submit an order of the parts you'll need. Print it out, fill it in and send it to me as a scanned digital image file through e-mail for corrections or adjustments. Or you can still snail-mail it to me and I will work it out with you as swiftly as possible. Digital photos of your house will also be very helpful if you don't mind some free advice. I so wish I could clone myself, or was a more magickal creature to be in two places at once like in a Harry Potter movie (LOL), so I could assist my clients at the drop of a hat. But sadly I am only one person. I would like to have a life as well, but I will not sacrifice quality for production volume. I can do some emergency work day or night if you are willing to pay a $500 cash emergency service call charge to see what I can do to solve your immediate crisis, but that has rarely happened. 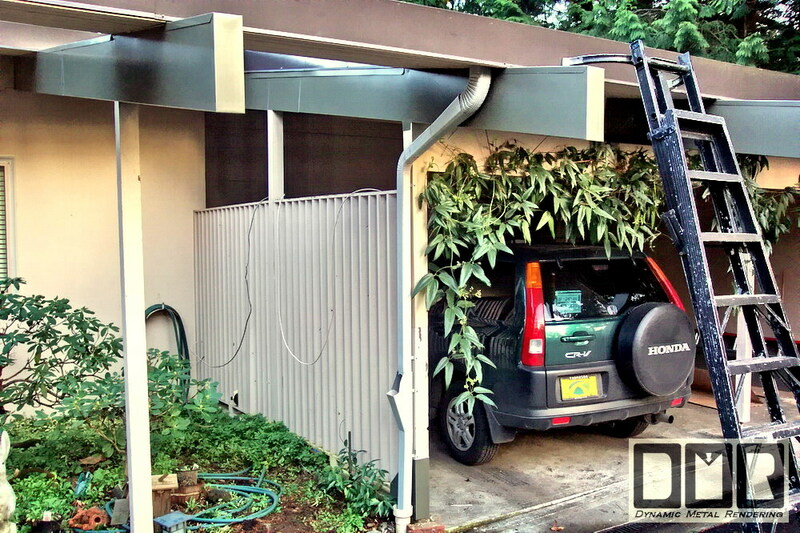 There is also a good chance that your problem may not be your gutters (see below). You could have a defective storm-drain pipe, or the ground water table has risen above the floor of your basement. Local building code does require gutters here in the NW only for the issue of long term ground erosion under foundations. Which is something that does not occur over the course of a couple years, but over a few decades, where serious damage would occur. So gutter replacement is rarely an emergency issue that can not wait several months. (a) The water table in your area may be getting too high, and your basement should not have been permitted to be in the plans when the house was built. There are lots of areas around this metro area where the ground water table gets too high in the rainy seasons and basements are not within the code for that area. (b) You may have clogged or damaged rain sewer pipes that are not able to carry the rain water safely away from you foundation? Roto-Rooter type contractors are usually successful in clearing out these sort of clogs and using a camera to see if there is a damaged pipe. You can test your underground pipes by running a full open garden hose into it for 5 to 10 minutes to see if it backs up. (c) If you are on a hill side, or you just have a raised property on that side of your house, you may need a French drain installed around part of your foundation? What if we need new gutters before we can sell our house? If you have a signed contract with me to replace the gutters that should satisfy any prospective buyer or those doing the paperwork for the sale, no matter how far booked out I am. Especially after you explain how I am well worth the wait. What if I will be re-roofing soon? If you will be needing a new roof in the near future it is best to install new gutters after such a major re-roofing project, since most roofers tend to be brutal to gutters. My gutters are removable, but it is rare that roofing contractors will bother to remove your gutter before the damage is done. If the roofer claims that he needs the gutters on for safety reasons, this is very alarming. This indicates they will not be adhering to OCA safety regulation. If they plan to grab onto the gutters incase they fall off, this mean they need to rethink their safety procedures much more carefully. They should be working safe enough that this is not an issue. What about working around our exterior painting project? Where it comes to exterior painting, again new gutter should be installed afterwards, so they will not need to tape off the gutters and downspouts. If there is one of the pre-painted color shown on my web site that would work well as a trim color, it will save you a good deal of trouble and cost to have me come early to remove the old gutters for the painters to work their magic. Then when they are done, I will install the new gutters, but that may mean you are without gutters for a spell. These pre-painted colors are a lot better than any paint they could put on them. It is a baked on enamel finish. What about the City asking to disconnect off our storm drain system? If you are in an area where the City has encouraged people to disconnect their gutters from their storm drain system; you would do well to reconnect it as soon as possible. This is one of the stupidest things City Officials have ever done. You have building code enforcement requiring gutters, which are no good if you do not have a way to carry the rain water away from your foundation more than 10'. You are better off without any gutters and have the rain dribble evenly along the roof edge, than to dump all that water in one spot out of your downspouts. 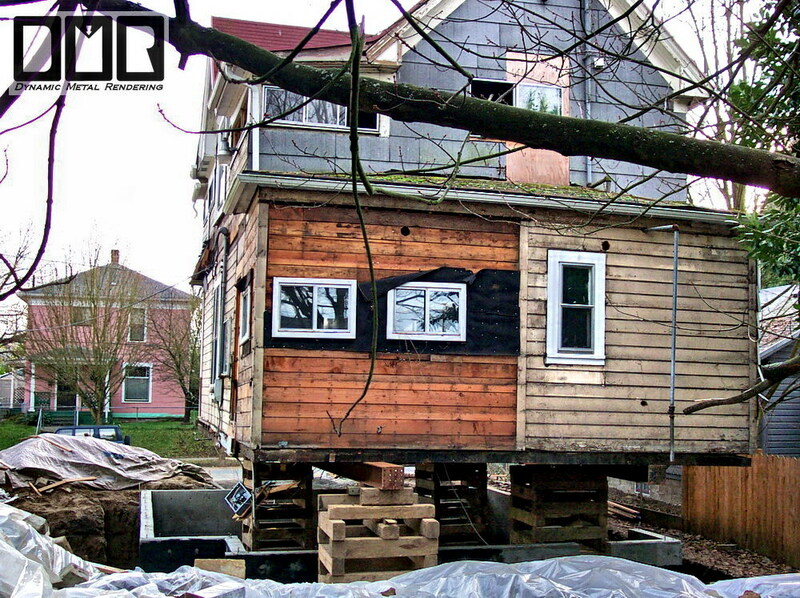 The City will not be accepting responsibility for the damage that will occur to your foundation. Even if you have no basement, to jack up your house off the foundation and pour a new concrete foundation is a nightmare you never want to have to deal with. It will make your house nearly worthless if cracks are discovered by an inspector. The City does not even give you a discount on your sewer bill for disconnecting. Besides the problem of killing the plants and grass in that area from all that extra rain water, you have literally nothing to gain by disconnecting your downspouts. Can we do complicated custom work? 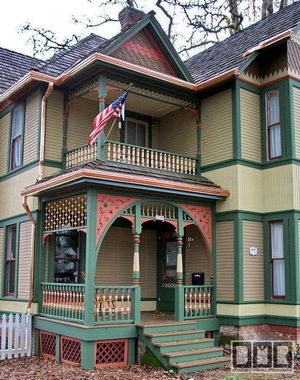 A nice couple in Forest Grove had bought a house built in 1892 and listed on the Historical registry, so they wanted to do a proper restoration. They paid $23k to have the paint fully stripped. Then another $13k to have it primed and given a 5 tone paint. They signed with me (8-04) after spending a couple years trying to get a bid from other Contractors for the gutter work they wanted done. It cost $8k for a fascia build-out and copper gutter installation. That project took me a full month to complete. Go to my Kistler Gutter Job web page for more detail and photos. They told me about how they had been trying to get a bid on this gutter work for several years, yet had not found another contractor willing to tackle this project for them and were about to give up. They were thrilled to finally discover my web site, and found a Contractor that had already done the kind of work they wanted done as shown on my custom fascia web page. As far as I know there is no other Gutter Contractors in this area who is able or willing to do this sort of complicated custom work. Feel free to write me if you know differently and I will revise this statement. In early January we replace the 4' wide pan & box brake bender, even though that bender was still working fine. This new bender is much more versitle; given how it has removable and adjustable teeth below the bending bar as well as above, which allows us to do more complex projects we could not do before. This also has a foot lever to close and lock the teeth together, which leaves our hands free to hold the metal in place. 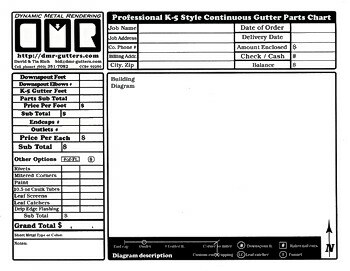 This is a brilliantly designed tool sold by Grizzly Industrial. JET also sells the same machine in a light gray color, but costs a few more Ben Franklins just for the namesake as a distributor. I also got a new pneumatic riveter from POP. Makita came out with a 7.25" cordless miter saws that is powered by a pair of 18V batteries for 36V power, so this has the powerful as a corded saw, which is a first. Then a few months later they came out a larger 10" miter saw like this, so I had to have that as well to have at my job sites. I upgraded to a new full frame Nikon D850 DSLR camera with a Nikkor 24mm to 120mm zoom lens, as shown here. My custom Ryzen 7 chip PC is still running strong. 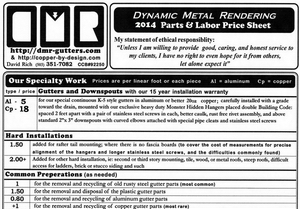 Due to the higher cost of living in Portland and getting near unmanagbilly booked out I felt the need to raise my aluminum gutter price from $5 ln' to $6, and copper up from $18 to $20 ln'. This may seem like a lot, but when you consider all of what I put into each gutter job with higher quality parts, I still offer the best possible bargain in the Great Northwest, compared to any other Gutter Contractors. I was able to upgraded my PC with the new Ryzen 7 chip along with a larger 55" 4k monitor to work with. I use a 4T and 6T mini RAID hard drives for storage now. Although, I have had a bit of trouble with this new system and cannot seem to find a reliable tech who can solve those issues. It seems I should have stayed with the Intel chip after all. Live and learn. Also, I have upgraded my SawStop table saw to run with a stronger 220 volt 3 horse power electric motor. For the first time since before 2005 I was able to place an order for 20oz copper gutter coil at $3.35 a pound ordered in bulk, where it had cost over $4.50# in bulk, or as much as $7.81# in smaller quantities over the last decade. The 48" wide coil was still 17% higher for some reason. These fluctuation do not change the cost of our work by much, since most of what you are paying for is labor and freight, but it helps me not have to raise my prices to cover increases in the cost of living. This material cost fluctuation would affect a medium size $5k chimney cap w/freight by only $150 or so. That is only a 3% difference. It is very rare I do any work outside Oregon. I was contracted to do the largest copper project to date of $60k for a client in Gillette, Wyoming. We had built a set of 3 chimney caps for them, and drove out to there, along with over 800 ln' of copper gutter to install on a new construction house, along with enough 48" wide copper to clad a dozen columns, which took us a couple weeks there to install all that. It was quite an adventure. It was just before the election, and being coal country I had to be very careful to not get into any political debates. I was seeing a substantial drop in scrap metal prices, but cannot know if this trend will stick, or continue to bounce up and down like gasoline prices have over this past decade. 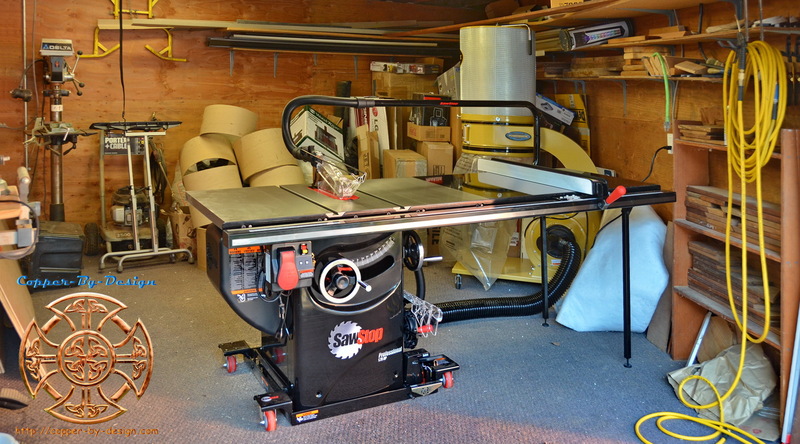 As a commitment to safety I spent $4k on replacing a working table saw with a SawStop brand table saw and a better dust collection system by Powermatic. I realized how one trip to Emergency would be more costly than this very expensive saw, so it was a must have. Especially given how power saws are the most dangerous tools we use. Luckily we now have this option before any serious accident had happened. It is a coincidence this safety saw was developed here in Oregon. Their headquarters is in Tualatin, just South of Portland. I built a 15' X 30' awning to have more covered area in back, which we have used in our custom copper work. 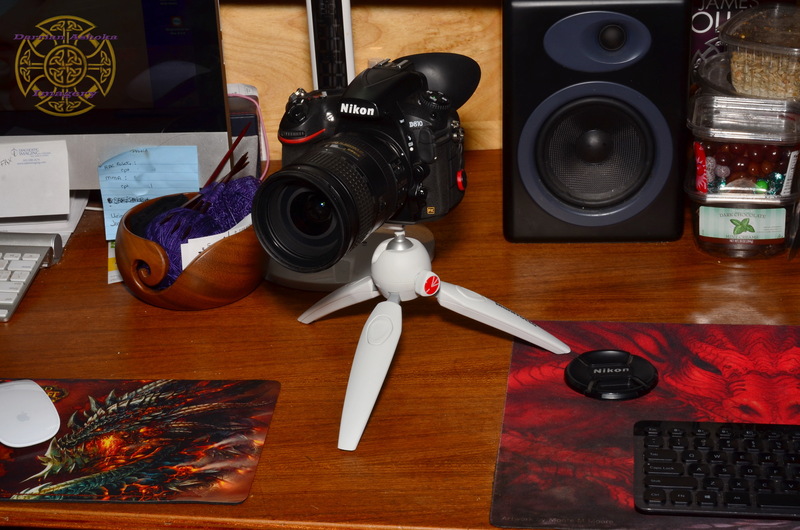 I also upgraded to a full frame Nikon D810 camera shown here, and still use my D7000 DSLR to document my work better than most sheet metal shops to share with our out of State Clientel. I got a used 2005 Acura MDX to use as my primary work vehicle, and still have our 1999 Honda Odyssey van we had bought new. I made an aluminum and stainless steel tubular rack for this SUV, which is 6' wide and over 12' long, while allowing the hood and trunk to open fully. This car suspension is noticeably stiffer, so when loaded with my tools and ladders it has a much softer ride, but not too soft. The first thing I did to it was add a soft steering wheel cover, wide angle rear view mirror, add an IPod connector to the outdated sound system, and have my company signs made for the front doors. I also added the front brush guard to butch it up a bit, so this looks less like a Ladies's SUV. I also got a Nikon D7000 DSLR camera to document my work better here on-line. This has a Nikkor 18mm to 300mm zoom lens. We are seeing another hike in the cost of copper, as well as all the other types of metals. It had held some what steady since 2006 with scrap metal prices being around $2.50# after tripling in value, and new material had suddenly doubled in cost, but it has taken a 125% increase around the first of the year bouncing around $3# to $3.30#, so I need to allow for these unexpected fluctuations in my quotes. I gradually upgraded my cordless hand tools to Makita's line of 18V lithium battery powered impact drivers for the advantage of how they cause far less damage to the softer stainless steel screws we have been using. They are a bit noisier, but this has been a substantial improvement. I also replace my first 10' wide metal bender with their strongest 12' wide bender made by Tapco. We had to move back to the West side in Portland, Oregon, so Tia can be closer in to the Hospitals and Birthing Centers for her apprenticeship with The Andaluz Waterbirth Center. Our new mailing address will be listed in our e-mail correspondence. We build a new 20' X 32' workshop there with 4 large skylights for more natural light, so it's less like a dark dungeon most work shops seem to have. On Halloween I did some warranty work on a gutter job I had done back in 2003 where some of the screw heads holding the hidden hangers had broken off, which is an example why I had upgraded my standards in early 2004 to a pair of stainless steel screws per hanger after that unusual snow storm we had. Here again in the winter of 2008 with a record snow fall for this area we had not seen in at least 40 years, which took down a lot of gutters, as well as collapsed older barns. All my gutter installations since 2004 held up without incident. Another clear reminder of why I go the extra mile for each of my clients, so these issues do not happen. This is a dramatic shot sent in by a recent Client Scott Tice to show how strong my gutter installations are. 2006: What happened to the cost of metal? Much like gas prices all sheet metal prices suddenly took a drastic rise in early 2006, and I lost around $10k from the bids I had sold and still needed to complete. Unlike others, I was not going to ask my clients to cover this unexpected jump in material cost. One core evidence I had personally observed was scrap metal prices sky rocketed 3X what it had been over the last 2 decades. I personally saw how from 1990 to 2006 steel scrap steel was around 2 cents per pound, aluminum was 35 to 40 cents#, and copper was 85 cents#, give or take 10% fluctuations. Aluminum went up to the price range of what copper had been, and copper peaked at $2.60#. It held steady at around $2.50# for a few years with no sign of dropping, but in late 2008 it suddenly dropped down to just $1# and shot back up a month later. Although, I was probably just swindled by an unethical scrap yard. New material has been twice what it had been prior to 2006, but my clients have only seen just a marginal cost increase, since the cost of materials is not the majority of what they pay for my service, as with any construction work. The prices of past projects listed on my web site here were the actual costs for my work at that time, but may not accurately reflect how much new projects will run now. I haven't needed to double my prices, but it had gone up 140% to cover this added material cost for metal. I had heard several reasons why the cost had risen so high, but that is not relevant here. The issue here is how I have little control over this issue, and no idea what the future holds, but I will do my best to remain competitive. This may be a bit off topic, but I have a question for you to consider: why has electric and pneumatic motors for cars been suppressed for over a century now? Pneumatic is just pressurized air driven motors, which is not a new tech at all and safer than burning hydrogen. They now make 5k PSI tanks with carbon fiber for better safety and lighter weight for Firefighters and divers for many years, which can provide over a 200 mile range per fill. This has virtually no pollution to speak of and no risk of a violent fiery explosion if involved in a serious collision. It would be far less hazardous land fill issues than old dead batteries, as well as a fraction of the weight for use as the energy source and motor. No expensive processing of the fuel, which can be set up at any fueling station for a fraction of the cost to recharge a tank in just a few minutes compared to hydrogen. Please write to your Congressman and tell them about this new/old tech to save our planet and society. Also, spread the word to as many people as you can to put pressure on The Man and force this out in the open. 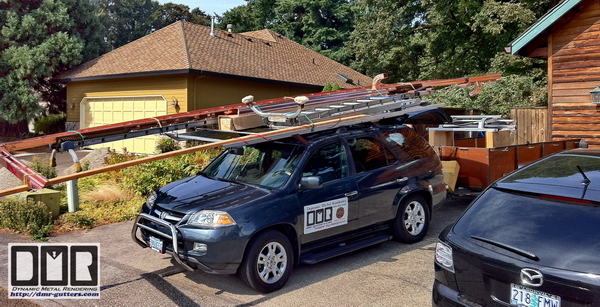 4/15 - spent $1,5k on some 20' long planks and made cedar scaffolding for a larger gutter job on a Friends Church in S. E. Portland. 1/14 - got a full frame Nikon D810 DSLR camera to better document our work here on-line, and bought more cordless tools. 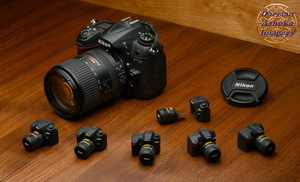 2/13 - got a Nikon D7000 DSLR camera to better document our work here on-line and share with our out-of-State Clients as we are working on their projects, and bought more cordless tools. 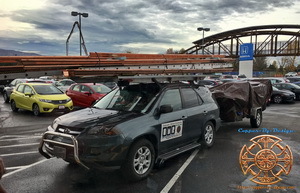 8/12 - bought a used 2005 Acura MDX to use as my primary work vehicle and made a custom 6' X 12' rack made with aluminum and stainless steel tubing w/o having to add any attachments to the roof of this vehicle, which survived a long trip to Canton, Ohio loaded with $20k worth of copper gutters and a 36' ladder. 4/12 - New equipment: pipe bender, palm sanders. 2/12 - New shop equipment: Bosch 12" miter saw, and a polishing/sander. Swapping out our lighting from all florescent to LED bulbs. 9/11 - Found a supply for 100% pure tung oil through The Real Milk Paint Co.
8/11 - New shop equipment: 200 psi compressor. Improved our Leaf-Catcher design to be less boxy looking. 6/11 - New shop equipment: Fein Multi-master tool kit. 5/11 - Rebuilt my trailer w/marine grade plywood covered w/epoxy resin. 8/10 - New shop equipment: Bosch 12V cordless shear, Makita palm sander. 5/10 - Rebuilt my Honda van roof rack to hold our ladders better with ipe hardwood. 4/10 - New shop equipment: English wheel, stronger 12' wide Tapco metal bender, and a 4' wide bender for smaller projects. 8-9/09 - Built a new workshop w/better lighting w/4 large skylights, and have a separate woodshop, so our metal shop is less noisy and dusty. I finished a job in Milwaukie Oregon where I wrapped large 4x12 roof trusses with pre-painted aluminum sheet-metal that extended out about 2' past the roof and were getting quite weathered. I normally use much thicker .027 gage aluminum than used by most all siding contractors, who use a thin .019 or less for covering wood that is not covered by the vinyl siding. I found that I was no longer able to get the 4'x 10' sheets I had gotten in the past. Although they had some thicker .040 and .063 sheets left over from an over purchase a while back. For even less money while using the same .027 aluminum I could have covered these beams with a sheet of 12" wide gutter coil for one side and a 15" gutter coil to cover the other side and bottom, but I look to increase my standards when maintaining them is not an option, instead of lowering. That would have added a seam along the bottom that I had planned not to have. Without asking the client for more money to cover this much more expensive metal, I gave her better quality than I originally bid. It was so thick I was not able to bend it with my equipment, so that cost me more as well to have it bent on stronger machinery. The client was very pleased with the results and told me several times how it looked better than she imagined it would. I also have begun to mount downspouts with dome head stainless steel #3 Phillips screws, where most all other Installers will still use cheap steel nails that are hard to remove for unclogging the underground sewer pipes, or painting behind the downspouts. The main reason these other contractors will not upgrade to screws is because it is cheaper to replace a lost or stolen hammer than it is to replace a $350 cordless drill (like I use), for their employees if they damage or steal it. 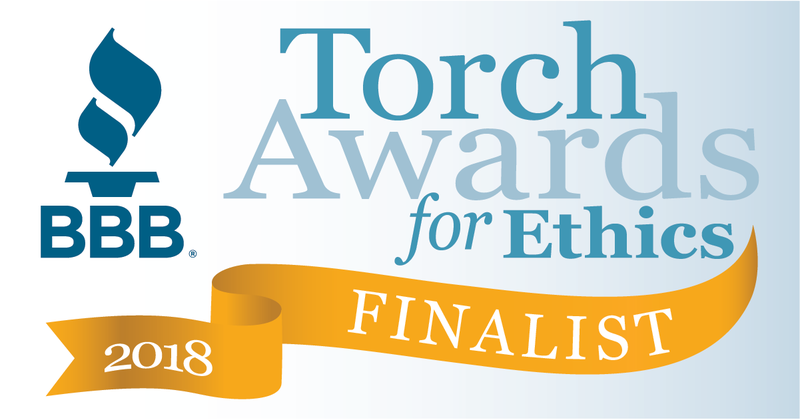 My focus has always been continuing to offering the best possible product and installation for a reasonable price (see my Ethics philosophy web page to read my thoughts on this issue). I service a lot of non-local client with custom copper fabrication, but I am not licensed to do any installation work outside Oregon, or to do any sort of roofing work. Within Oregon State and a suitable transportations fee added I can do gutter replacement outside our metro area: beyond the 20 mile radius shown on the Portland Oregon Thomas Guide. 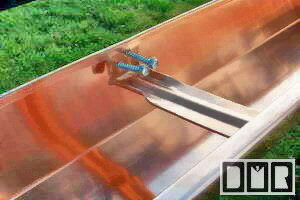 However, I do sell some unique gutter parts and custom copper sheet metal fabrication to clients across the continental USA (see my 'Shipping' web page for details). Sadly there is not a 'gutter workers network' for me to refer a good gutter contractor to you. Heck, I seem to be quite alone in my standards and ethics for some reason. Let alone to be this way with such passion! If you are searching for a reliable gutter contractor, this web site is one of the most comprehensive and honest web sites on gutters and roofing in the world. You should find the information here very helpful to better know what questions to ask of your local gutter and roofing contractors, better able to weed the less reputable contractors. Take notes from this information here, so that you have the questions to ask them during the bid. And in so doing you should save a lot of money and future head aches down the road (three or four sets of crappy gutters will cost more than one good set hung well). If they claim they cannot do what I do or get the parts I buy, as listed on my web site, that would be very telling, and you will then know not to hire them. Even if they are not smart enough to do a little research, they can always order the custom parts from me through this web site, or you can order these parts yourself and demand they use them. 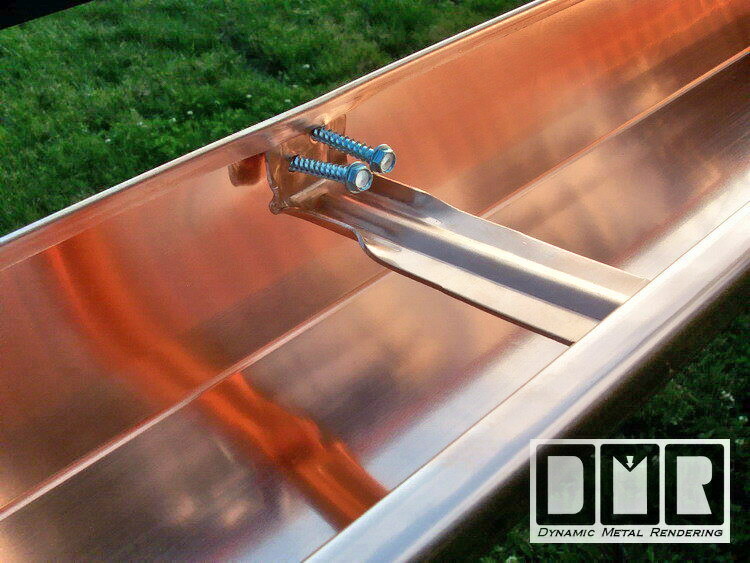 I have been getting a lot of custom copper sheet metal fabrication orders from my web sites from clients across the Nation. It seems there are not very many web site like these, who market custom copper sheet metal fabrication services on-line. This has begun to make up a good 75% of my work these days. I have now made a whole new separate non-local shipping web page to handle information for those type of orders. Since many of these are simple projects that may only take a few hours to make; I could work on them in the evening in my workshop, and slip in between substantial projects I have, avoiding my normal wait time. Once I have all the details worked out; it may only take a week or two. Then what ever time it takes me to design, fabricate, and package it. Full payment is required before I will work on it, and the check needs to clear before shipment. 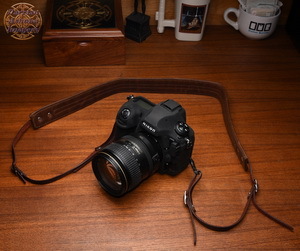 I will provided you digital photos of the progress, so you will see the item before it ships. If you're in a rush the fastest and cheapest way for both of us is to just overnight your payment. You could do a funds transfer right from your Bank into my account. I can provide you with that info through e-mail. I know they charge me a $10 transfer fee to receive it, but I can't know what your Bank will charge you. 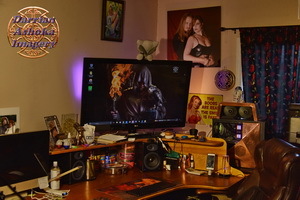 I do have a PayPal link set up on the Contact page of my copper-by-design web site. They will charge me fee for this service that is more than overnighting a check, and it still takes 3 to 4 days for PayPal to make the actual transfer to my account, so it is actually faster to simply mailing a check than using your Debit Card, but it is there if you need to pay through a credit card. At least 95% of my clients just pay with a personal check and I've not received any bad checks. That seems to have worked out really well. I'll usually notify you when the check arrives that same day.